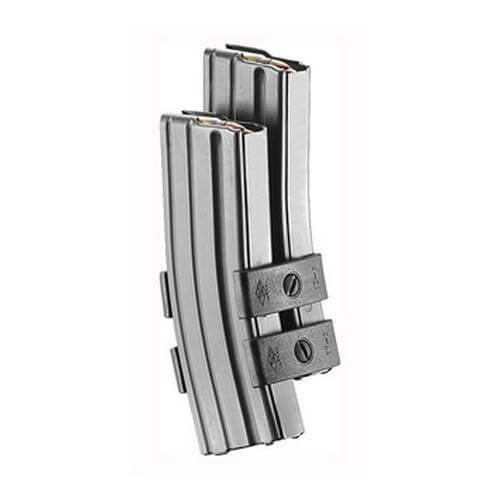 – Set of two quick-attach couplers holds two magazines. – MIL-SPEC reinforced polymer composite and steel. – Fits M16/M4/AR15, AK-47, Galil, H&K (33,53,91), Ruger Mini-14 and Sig 542 and 543 magazines.